HamRadioNow's newish co-host David Goldenberg W0DHG wears many hats. One of them is Scoutmaster for Troop 22 in Woodland Hills, CA, where he introduces his Scouts to Amateur Radio, among many other life skills. Scouting is one of the most effective connections between Amateur Radio and young people. In this episode, David and Gary KN4AQ explore that connection with Jim Wilson K5ND. Jim also wears many hats with the Boy Scouts. 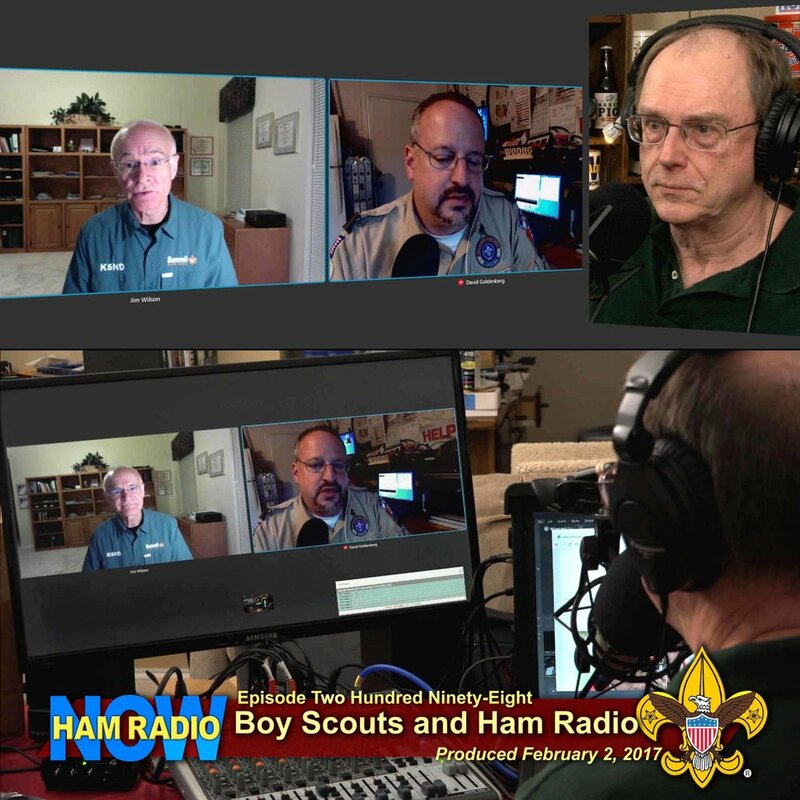 He's Chairman of the National Radio Scouting Committee; National Jamboree on the Air Organizer; a member of the World JOTA-JOTI Team; and President of the K2BSA Amateur Radio Association. (Gary made it to Cub Scout Webelo).